Freddie Mercury would have turned 72 on this day. Born Farrokh Bulsara on Zanzibar September 5, 1948, the future front man of Queen got his musical start on piano and was in his first band at the age of 12. Fleeing political turmoil, his family relocated to Middlesex, UK , where he studied art and graphic design in school, Mercury also stayed active as a band member in a string of bands through his mid-late teen years. 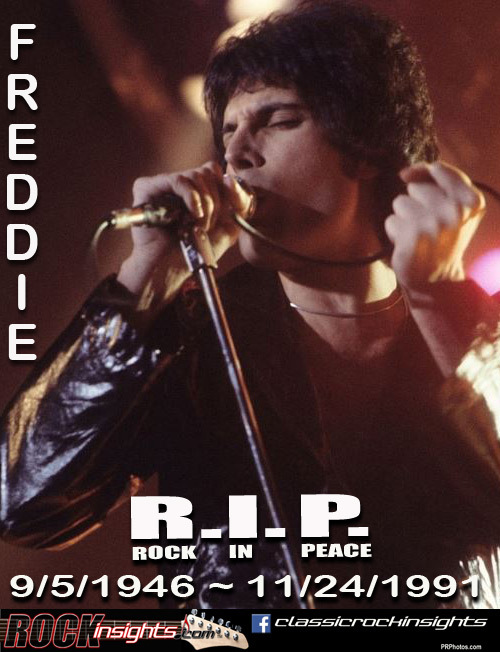 Queen formed in the spring of 1970 and Farrokh Bulsara adopted the name Freddie Mercury. The flamboyant lead singer of the band he described as the Cecil B. DeMille of Rock went on to establish himself as one of the greatest front men in history before the ravages of AIDS forced him to retire from performing.